Italy is a nation full of stunning countryside, picturesque towns and crisp blue seas. However, there are few places in Italy where all three of these aspects come together in such perfect harmony. The heel of the Italian ‘boot’, the southern region of Puglia is a charming rural region full of whitewashed towns with plenty of history. From cities such as Lecce and Bari to the almost limitless hidden gems of Puglia, this is a region that astounds its visitors every time. However, beyond the history and charm lies plenty of tradition in what remains a mostly rural region of Italy. It’s no surprise, then, that this region is full of exciting and vibrant wildlife for you to discover on your stay at our villa in Puglia! Take a look below at some of the animals you can expect to see on your trip. These fleeting birds are always a delight to see, and Italy is blessed with an abundance of them across its regions. 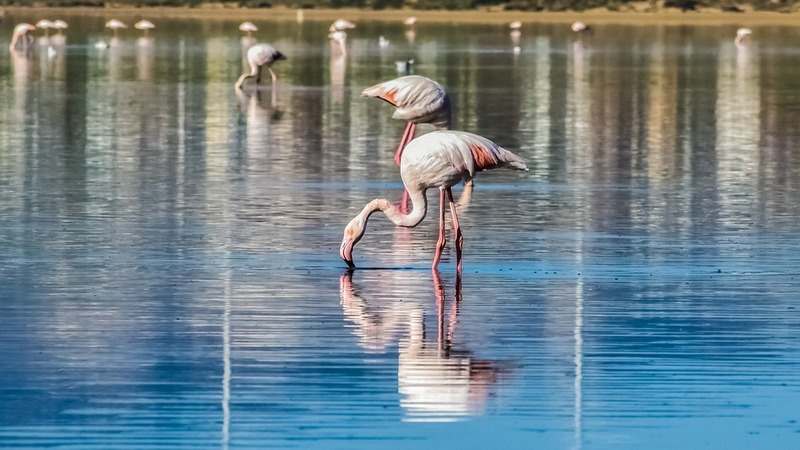 Traditionally migratory birds, the time in the year will often dictate where these flamingos can be seen, but there are few places in Italy where you are as likely to see them as Puglia. You will often find flamingos in Puglia during the milder winter months, but there are occasions when they are spotted in the summer. One of the best locations to see them is the Salina dei Monaci park, south of the historic coastal city of Taranto, where hundreds of these pink birds can flock at once! Puglia is a region of Italy with a very diverse history. With excellent sea connections to places such as Greece and Egypt, many great civilisations throughout time have left their mark through the cities and traditions of the region. This combination of cultures can also be seen in some of Puglia’s wildlife, such as this breed of cross-country horse. The Murgese is a robust and tall horse, traditionally with a deep black coat. They were introduced to Puglia while under Spanish rule when they were primarily bred as war horses. Nowadays, they are used for cross-country riding and some light farm work and are frequently seen in the Itria Valley region, farming flatlands known for their iconic Trulli dwellings. One of the best places to visit in Puglia for nature lovers is the Gargano National Park, located in the north of the region, just one hour from Foggia. Measuring over 120 hectares, this vast protected area features marshlands, islands and the Forest Umbra, an enchanting woodland with thin, high reaching pines and plenty of walking paths that create a pleasant atmosphere. One of the animals that you may find in these woods is the roe deer, but you will have to be very lucky! 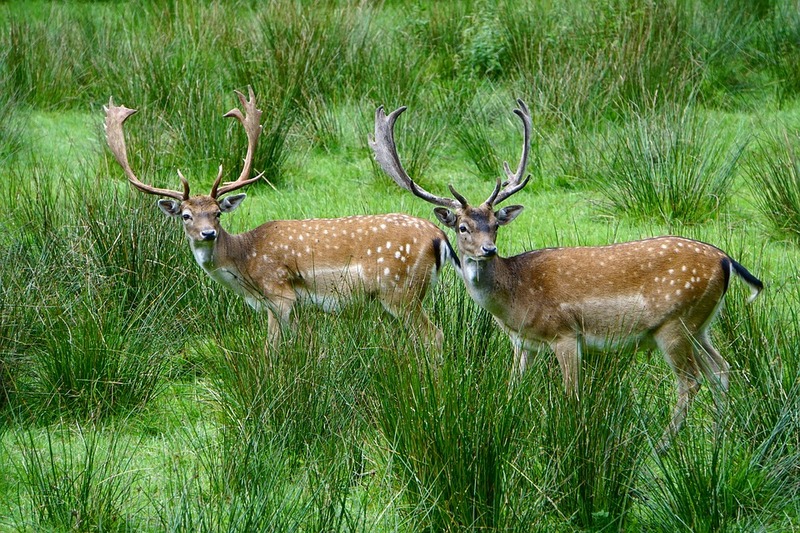 Despite this animal’s historical importance to the region – it is one of the last pure roe species in the whole of Italy – these deer are scarce thanks to a lack of good grazing spots. However, a trip to the magical forest is still worth it and, who knows, maybe you’ll get that fortunate picture! No trip to Puglia would be complete without taking a trip across the stunning blue waters for which this region is renowned. While its Adriatic and Ionian coasts don’t boast much in the way of spectacular species they are both bountiful, having fed much of the region since ancient history and into the present day. Much like traditional farming in regions such as Tuscany, Puglia’s fish change throughout the seasons. The species available vary from the conventional catches, such as anchovies, salmon and tuna, to more eye-catching species like the swordfish and Japanese amberjack. Whether you’re hoping to admire them swimming off the shores or taste the excellent local cuisine, there will be plenty of opportunities across one of the longest coastlines in Italy. These are just some of the iconic animals that have called Puglia their home. Italy is a country blessed with many wonderful species, and if you’re looking to discover more prior to your trip, check out our blog on the beautiful wild animals of Italy!